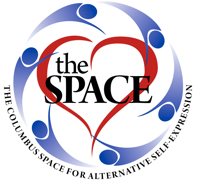 Columbus Space for Alternative Self Expression - The Polyamory Toolkit! Join Dan & Dawn (http://www.eroticawakening.com/), polyamorous since 2001, for a 3-hour intensive that gives participants tools to bring happiness and freedom in their polyamorous relationships! Together, delve into the Polyamory Toolkit with the authors and gain tools to break free of the patterns and attitudes that keep us trapped in discomfort, fear, unhappiness, and jealousy. Actionable ideas and things you can keep in your ‘polyamory toolbox’ when things need fixing!